A traditional funeral is a service generally preceded by a visitation and viewing, followed by a funeral service and burial, entombment, or cremation. Traditions vary according to religious or ethnic origin. 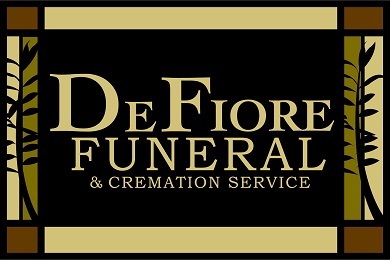 DeFiore-Funeral Funeral Service caters to all faiths. Funeral services are tailored to meet the preferences and expectations of that special person's family and friends, as well as, the preordained desires of the deceased. They can be as personalized and unique as those for whom the service is arranged. We, as funeral directors, are available 24-hours a day to answer a call to serve, whether death occurs at home or in a health care facility. Funeral pre-arrangement is not difficult, nor long in duration. Most of us know our preferences, yet we neglect to share that information with loved ones. Pre-arranging a funeral can offer special comfort to those loved ones who remain, helping to take away the guess work involved in trying to determine what the deceased would have wanted. Contact us and we will make ourselves available to discuss pre-arranging and/or pre-payment options.